Aussie bulls, watch out! 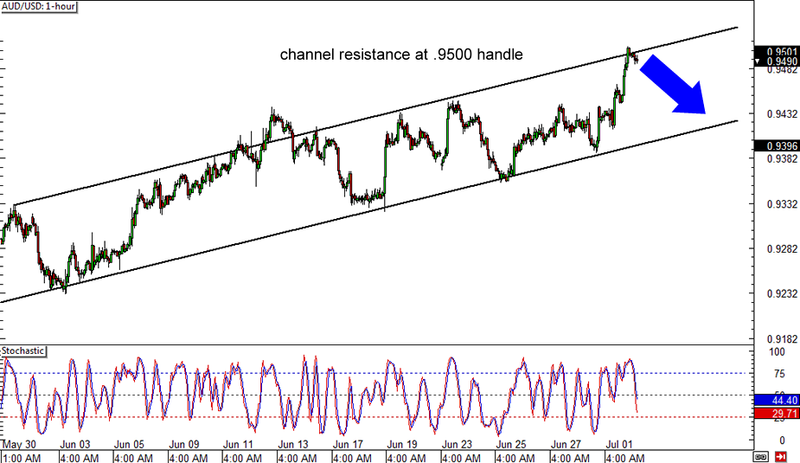 AUD/USD might retreat from its recent rally since it’s currently testing the top of the rising channel on its 1-hour time frame. That area lines up with the .9500 major psychological level too, making it a pretty solid resistance zone. At the same time, stochastic is moving down from the overbought zone, indicating that selling pressure is present. A selloff from its current levels could take the pair back to the bottom of the channel around the .9400 major psychological level. Just make sure you set a stop above the channel resistance if you’re shorting! 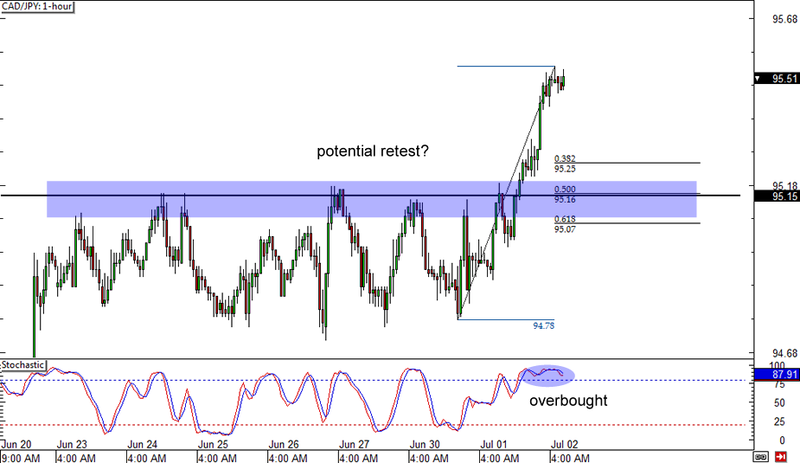 Could the Kiwi be in for another bounce? On its 1-hour time frame, the NZD/USD forex pair appears to be forming an ascending trend channel, with a potential test of support at the .8750 minor psychological mark. Stochastic has already reached the oversold area although it hasn’t crossed upwards just yet. This suggests that the selling momentum could subside soon and it would be time for the bulls to take over. 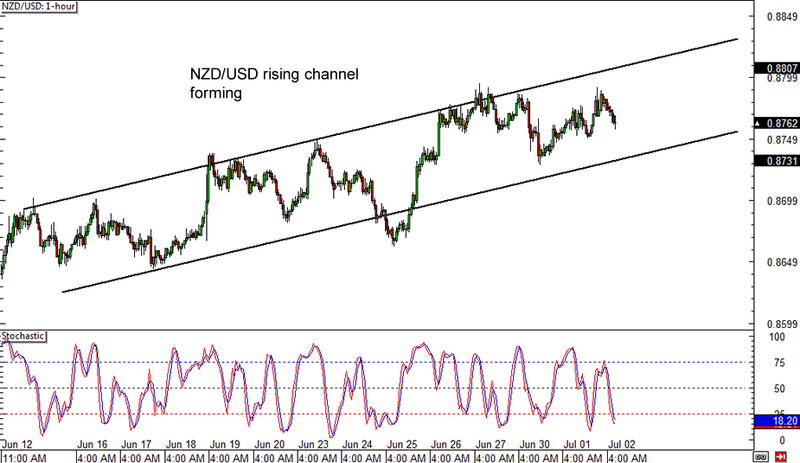 If that happens, NZD/USD could make its way back to the top of the rising channel at the .8825 area. What a run by the Loonie! After weeks of consolidation, CAD/JPY made another strong upside break and zoomed all the way up to the 95.50 minor psychological level. Price could be in for a quick pullback before heading further north though, as stochastic is already reflecting overbought conditions. A retracement could last until the nearest Fib or until the 50% level, which lines up with the broken resistance zone. Make sure you wait for reversal candlesticks or for stochastic to turn from the oversold region before trying to ride the rally.